Searching for the best welder for aluminum? Aluminum is much trickier than steel alloys for the welder. With higher conductivity and lower point of melting, improper welding can result in many burns through. In order to choose the best welding method for aluminum, you need to consider many things. Starting from the materials used in the production to the price you have to pay for a product, we examined everything to get the best results. Check our reviews of aluminum welders and see which machines came to the top of our list. 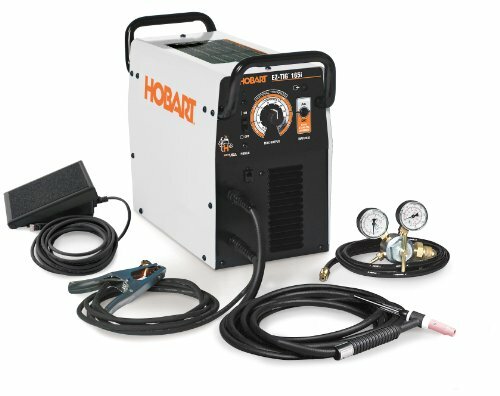 We narrowed down the choices to the top 10 best welders this year, two for TIG techniques and two for MIG techniques. 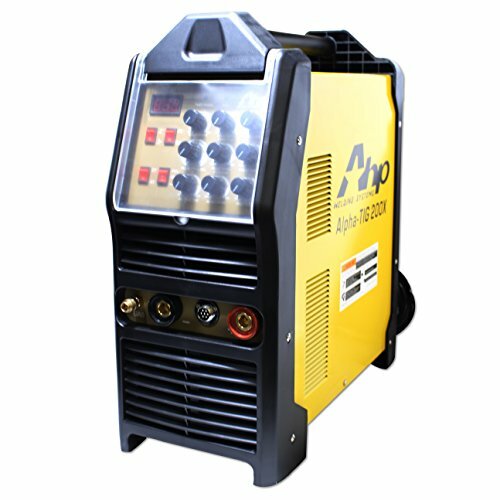 Our first choice of TIG welders you can use to weld aluminum is the amazing Alpha-TIG200X of 2018. You are looking at a machine that allows the user to utilize the latest inverter technology in welding thin materials with ease. The product comes at a very affordable price compared with other similar products and is one of the very few that can be used by literally every welder – professional or beginner. Whether you want to weld steel or aluminum, this AHP model will help you finish your projects successfully. Very recently, the manufacturer improved the product, adding an IGBT technology that lets you convert to high voltage and control each functional parameter with ease. 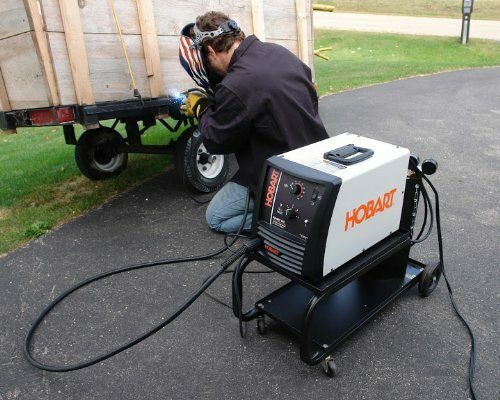 Moreover, the Alpha TIG 200X weighs only 28 lbs., making it portable and very easy to use. For increased flexibility and convenience, they added a handle that helps you move and control the process. Instead of the standard controls with buttons, the control panel of this machine has knobs and rows that help you control the settings. If you are looking to turn welding aluminum into a hobby, you may be considering whether to buy this product or not because of the relatively higher price. But, this is definitely not the most expensive product on the market and it is unexpectedly great for the price offered. This specific model is known as the EZ-TIG. It is effective and available to even beginner welders, offering a quick set up in addition to other advantageous features. Its weight is almost double from our top choice, but it is still quite portable (50lbs). Thanks to the carrying handle located on its top, the portability is highly improved. Each control on the machine is designed to promote simplicity. You can control all functions with one dial and one switch, which is clearly labeled for everyone to read. It is the ideal piece for new welders. To prevent contamination, the EZ-TIG has an HF start feature and a non-contact arc start. It uses an inverter power source that helps the welding process and saves you money otherwise spent on power. To adjust the amperage, you can simply use the foot control feature. The buzz surrounding this product has been present for quite a while now, and we agree with the good words of many who use this machine for welding aluminum. The Hobart Handler 140 MIG is known for the unique ability to perform at all levels, including industrial level. Whichever household project you have in mind; this machine can help you complete it. It works perfectly with welding aluminum, steel, stainless steel, and other thinner metals. Moreover, it is extremely easy to set up and comes with a variety of extras. Its versatility is the key reason why we placed it on the very top of this list, combined with the high-quality materials and widely known duration. Finally, you get the second MIG welder for aluminum and the final one on our list. Our list is very limited, but we made sure to select the very best. If you wonder why the LOTOS MIG175 is second and not first on the list, it is because of the fewer features it offers. Nevertheless, this is a great alternative and you would not make a mistake if you purchase it. The machine is specially designed for stainless steel and aluminum and helps the user produce excellent quality. You can use the spool gun to weld aluminum. 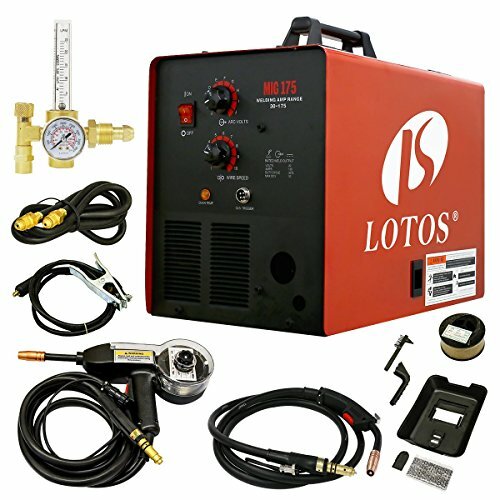 All you have to do is connect the Lotos MIG 175 with a 240V outlet and you need 10 minutes to set it up. This makes it available for use at home as well as commercial spaces. What type of welding can you use to weld aluminum? TIG welding is the most popular method for welding aluminum. Since aluminum is a material that requires plenty of heat to be welded, it requires a machine with such control. The aluminum can hold the heat for quite a while, and TIG machines are excellent in keeping those heated pieces from overheating. If you know how to use a TIG machine, you should not cause a burn-through. In addition to this, TIG welding can be used both for thick aluminum plates and thin aluminum sheeting. Since it requires a filler rod, the person who is using the machine must select a separate welding rod whose alloy is as close to the alloy of the pieces as possible. If you do want to weld aluminum with the help of a TIG machine, you need to have at least some knowledge of the process. TIG is much harder to master than MIG welding but can produce more successful welds. MIG welding is also a good way to weld aluminum. When you are trying to select the best welder, you should decide whether you’ll use pulse welding or spray arc welding methods. The first requires an inverter supply of power. The latter requires a constant voltage and current machines. MIG welding is recommended if you want to weld thin aluminum sheets, mostly because of the heat that is necessary to do this. When you are choosing a shielding gas, consider 100% argon as the best-known option for MIG welding of aluminum. Finally, there is the option of torch welding, but this is far more complicated than the MIG and TIG welding. Experienced professional may opt for this option because they can control the heat they apply to the workpiece, but those who are new or not-so-masterful with the torch should probably stay away from this method for a while. A burn-through is much more likely when you are performing torch welding. In order to do it well, you need to be a dexterous welder. How can you clean aluminum work pieces? It doesn’t really matter what type of welder you choose to weld aluminum – you must clean each workpiece before you start the process. The aluminum oxide has a higher melting point than pure base aluminum. If you leave any oxides on the surface of the piece you’ll be working on, you may be facing issues such as oxide inclusion and reduced strength of the weld. In most cases, aluminum pieces are cleaned mechanically with a wire brush or through a chemical etch process. Based on how much you know about aluminum welding and welding in general, you can choose the most suitable tool for this process. Of course, you should definitely take your budget into consideration, as well as the features these machines offer to their users. Whichever you choose, you won’t be wrong. 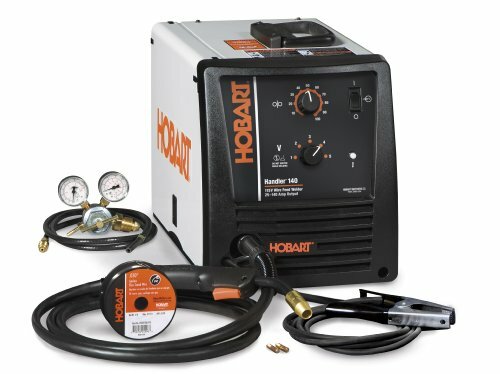 Whether it is the number ones in our lists: Alpha-TIG200X-2018 or Hobart 500559 140 MIG, or the second choices: Hobart 500511 EZ-TIG and LOTOS MIG 175, all these are excellent in helping welders achieve the goals they have set up. Our reviews of aluminum welders have a single goal – to help you find the best way and tool to weld aluminum the way you want it. Read our guide to see which one from our list is the best fit for you. Our research provided us with four excellent welders for aluminum, but it is up to you which one will be your tool to finish such projects.